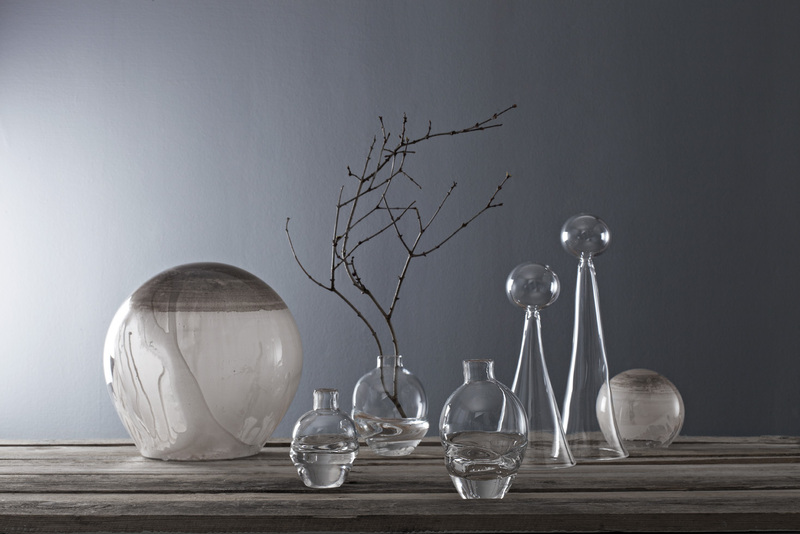 A Swedish glass artist and glass blower working with larger works as well as small production lines. 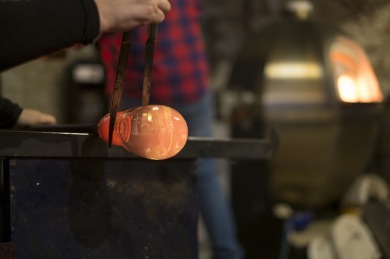 In my work with the "A Material in Motion" series I want to show my fascination for the organic material and the constant movement in the hot liquid glass. These are the qualities that made me start working with glass, which is constantly present in the hot work, but as so often lost and ignored in the finished glass objects. My focus has been on trying to maintain a sense of movement in the products of A Material in Motion, almost like they are still in motion and reshaped when you are holding it, seeing it, using it. Sketch works for the designs are made in my studio and showroom in Malmö, Sweden. 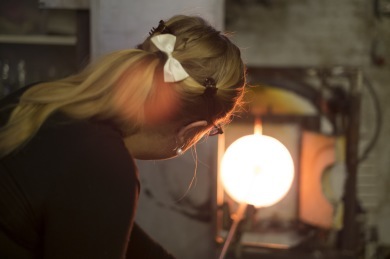 When the idéas are worked through, I go and blow the pieces at Glasverk in Varberg, Sweden.